Neural processing, or artificial intelligence capabilities embedded in mobile chipsets, is the way going forward. In fact, it is going to extend from flagship smartphones to more affordable models, such as the Qualcomm Snapdragon 700 series. Samsung realizes this and has now announced a new chipset – Exynos 9610 – which will bring AI features and super slo-mo to upper mid-range Samsung smartphones. 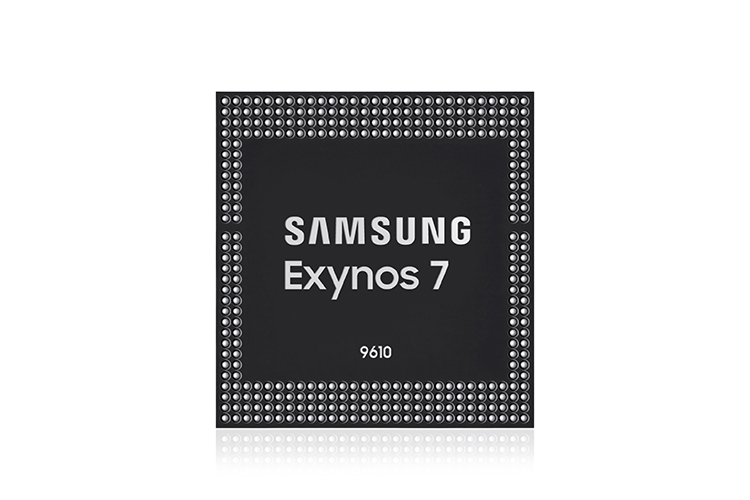 The Exynos 7 Series 9610 is the successor to Exynos 7885 which powers Samsung Galaxy A8 (2018). It is crafted with a 10nm fabrication process, just like Exynos 9810 and Snapdragon 845. The CPU comprises four A73 cores clocked at 2.3GHz and four A53 ones running at a frequency of 1.6GHz. It will be complemented by Mali-G72 GPU which also takes care of the graphics requirements of Exynos 9810 – the SoC which powers Samsung Galaxy S9 and S9+ (non-US variant). One of the key benefits of the new chipset is that it will augment the performance of the camera greatly. Exynos 9610 will enable features like improved focus in low-light and face detection with the ability to even recognize faces which are half-veiled under a mask, beard, or a hat. It will be able to support 4K videos at up to 120fps and ultra slo-mo videos at 480fps in Full HD. The SoC also features a low-power sensor control hub “Cortex-M4F” which will is like the thinking part of the chipset and will interact with sensors in real-time for applications like gesture recognition or contextual awareness. It will pack in a Cat.13 LTE modem which will support download speeds of up to 600Mbps and uploads in the range of 150Mbps. It will also support 801.11ac multi-band Wi-Fi, Bluetooth 5.0 and comes with an inbuilt FM radio transceiver. It is also embedded with a GPS sensor with support for GLONASS. 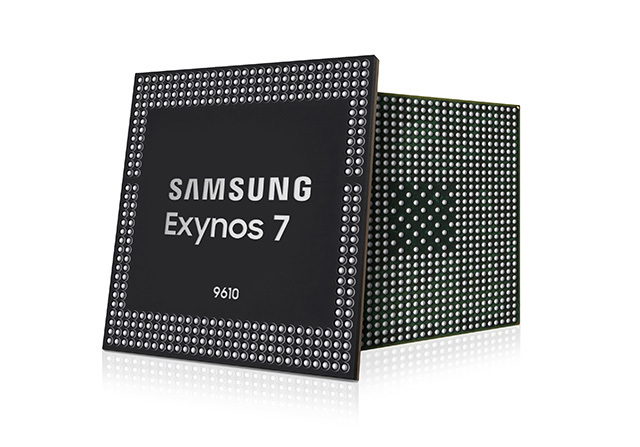 The Exynos 7 Series 9610 is likely to go into mass production during the second half of 2018. Although Samsung has not revealed which smartphones it will power, Galaxy A8 and A9 2019 series seem to be the clear beneficiaries of the chipset.